Description Clear oil, melting point is 25-29 deg C so it is generally solid, in this phase it will appear white. Coconut oil has a multitude of uses in skin care and cosmetics. Rich in short and medium-chain fatty acids, Coconut oil is popular in beauty products due to its excellent healing properties. It's one of the most commonly-used oils in soap-making, and can be applied directly to the skin. Great as a massage oil, hair treatment, moisturiser, make-up remover... the list goes on! We also have a Food Grade Organic Extra Virgin Coconut Oil for culinary purposes. Renuka K. Reviewed by Renuka K.
I am using it for my 2 months old and 3 years old son as a moisturiser after bathing. It really gives a great mositured skin. I purchased smaller quantities of the coconut oil a few times just to make sure it was what I wanted and that I liked it. I LOVE it so much that I now buy it in bulk in a 5kg bucket to use for making my sunscreen. Salona C. Reviewed by Salona C.
Pure nature are great to deal with, always prompt service. 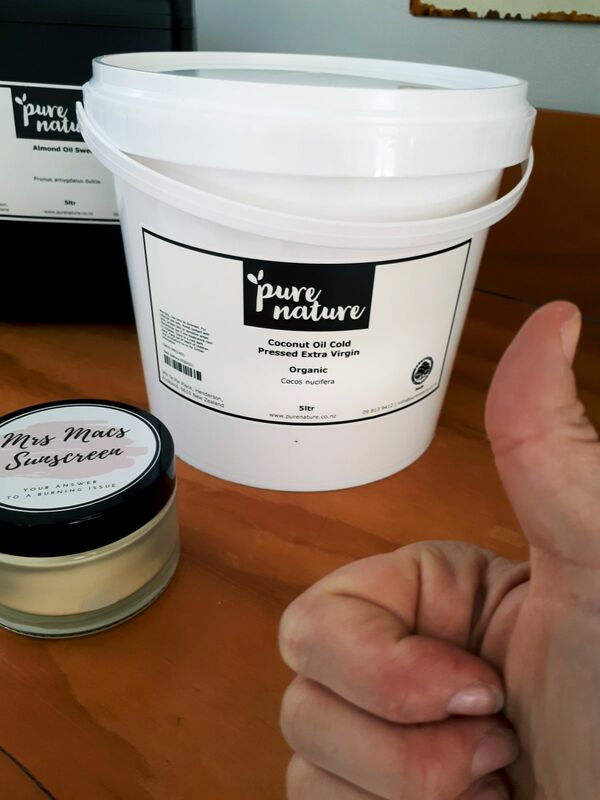 It's nice that PureNature sells so many organic products and this coconut oil smells amazing. But I think your products would be even better if you tried to use more glass packaging.